Hand,Foot painting : Select Add Hand,Foot Painting (Add +70.00) No Painting! Add Replacement Leg : Select No painting Basic leg(flat feet) (Add +90.00) Foot painting Basic leg(flat feet) (Add +125.00) No painting Heel leg (Add +90.00) Foot painting Heel leg (Add +130.00) No need! Add Fist hand parts : Select Add (No painting) fist hand (Add +35.00) Add (Painting) fist hand (Add +75.00) No need! Add Cat ear parts : Select No painting(Milky skin) Cat parts (Add +35.00) White+Pink Painting Cat Parts (Add +72.00) Yellow+brown Painting Cat Parts (Add +75.00) No need! Painting options will add about 3-4 weeks. 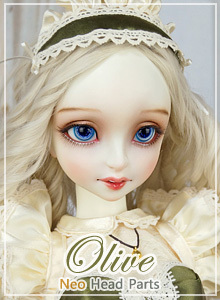 ▸ Additional parts / painting you order will be sent to production according to skin color selected in the first option. ▸ Painting related services may have some dirtiness due to handmade nature. 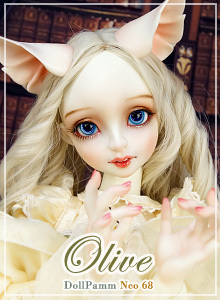 ▸ As a basic configuration, Painting, face-up, costume, glasses, wigs, eye, shoes, props are not included. ▸ Customers can apply for a two month installment payment on our LAYAWAY board.